Hi, my name is Alex Goldman, and I co-host the Reply All podcast with PJ Vogt. About six months ago a tech support phone scammer tried to tell me my iCloud had been compromised, my bank account had been hacked, and so on. And when I told him I knew it was a scam, rather than hang up on me, they actually started telling me about how their scam worked. So I called them relentlessly, found out the name of the call center, the people who ran the company, everything I could find. And then, last month, we went to India to meet the owner. You can hear this story below. We learned a lot about what it's like to work in a company like this, how epidemic call support scams are, and a lot more. Ask us about tech support scams, our trip to india or just about Reply All/podcasting in general. I'll be answering most of the questions, but hopefully my co-host PJ Vogt (/u/pjvogt), executive producer Tim Howard (/u/timgimlet) and producer Damiano Marchetti will stop by and answer some questions as well! EDIT - we were working on the episode until @ 4AM last night, so if the other guys don't show up, don't get too mad at them. Edit 2, 4:18 PM 8/3/17: Thanks for the excellent questions! I have to bail for a while, but I'll come back tonight and answer some more questions, so feel free to keep asking! Hello Reddit, we're Internetainers Rhett & Link of GOOD MYTHICAL MORNING, IFC's COMMERCIAL KINGS, EAR BISCUITS and so very many weird music videos and sketches on YouTube. Our new comedy series BUDDY SYSTEM just released its season finale today on YouTube Red. It's been a few years since we've done our last AMA and we're excited to hear from you guys so Ask Us Anything!! UPDATE: Thanks everybody for your questions! We're signing off. As of today, all Buddy System episodes are out, so go and binge watch. Howdy Reddit, we are indie pop trio Jukebox the Ghost here to answer all of your questions! Even with all three of us a different computers frantically typing we couldn't get to all of your questions but we had so much fun! Thank you for joining us here... we love you all dearly. So nice to hear from so many of you who have been listening to us for so long. Hello all! I'm an election officer who worked at the primary elections, and am greatly anticipating working during this upcoming election for president of the United States. You know those people who greet you when you walk into the polling place? Who gets your signature, calls out your name next to the voting machine, or directs you to where you need to go? I do all of that, and then some. Working at a polling place is a complex task and can be difficult, but at the end it's very rewarding! Anyways, feel free to ask me any questions you may have! I'd love to see what kinds of questions you guys have. edit: keep the questions coming, guys! I still have a lot to answer and i will get to them as soon as I can. I have to go to sleep now in order to wake up on time. I'll let you know when the cutoff point is! edit 2: (Oct. 7, 2016, 7:08 PM GMT -4:00) well guys, it was nice answering your questions! I'm gonna answer the ones I have left and then that'll be it. I hope it was nice for you guys! I'm Mr. Trash Wheel, the first of my kind situated in Baltimore's Inner Harbor. Since May 9, 2014, I've removed 406 tons of trash, collecting as much as 38,000 lbs in a single day. Since it’s Earth Day I decided to take to the interwebs to talk to humans about trash. I want to talk about what you can do to make job easier. And I’m back because, well, I love you all. Is that weird? I tend to make things weird. That’s what happens when your best friend is an R2D2 replica you made out of discarded Mountain Dew cans. Edit: Thank you all for another absolutely fantastic AMA. You all are the bees knees! I'm off to go battle trash now. Catch you on the flip side. My short bio: I'm the Senior Adviser to Secretary-General Ban Ki-moon on climate change, and have been working on the issue for over 20 years. Right now I'm in Paris at the UN Climate Change Conference where I'm supporting efforts to achieve a universal climate agreement. Ask Me Anything! Thanks everybody. Great conversation, but I must go now. I have to go back to the negotiations now. This was my first Reddit session. And it was great fun! Hey everyone! I did one of these a while back and it went really well. Thought I'd open the door for more questions. If anyone is interested in becoming a firefighter don't hesitate to ask. Also if you'd like to pm me instead of comment I am willing to answer any questions you may have. Thanks and have a great day! Also I have kik, if you'd like to talk in depth about how to become a firefighter or have any questions pm me. I've posted one of these before a couple years ago but that was when I worked the night shift, now I work the day shift. Ask me anything! EDIT Thanks for the questions guys, now its time for me to have an Abba-Zaba, my only friend. I am a 3 year member working general duties at a metro Melbourne station. I will endeavour to answer your questions as best as possible and remember I'm here as an individual with my own views, which aren't always in line with the force's stance. AMAA! Ok its 3am so I should probably sleeo. Thanks for all your questions and I hope I've answered them to your satisfaction. Keep sending them in and I'll get to them in the morning! Hi Reddit! I've been a 911 dispatcher for several years now. I never planned on taking this career track, but have grown to love what I do. I will try to answer most questions to the best of my ability, but remember I do have to adhere to privacy and HIPAA laws. Update: Alright ladies and gents, I'm out for now! Remember, National Telecommunicator Appreciation Week is April 13 -19th! So find your local 911 center and send a card, email, or find out if they're hosting an open house and go let them know that they are loved! Maybe even get an IRL AMA going on! Hi reddit, I’m Jay Inslee, Governor of Washington state. My state leads on climate issues and heath care but also has the most unfair tax system in the nation. As a start on fixing that, this year I proposed a capital gains tax that impacts less than 1% of our top earners. I also proposed a carbon pollution charge on the state’s top polluters (cap and trade) to help fund education and transportation. I’m a longtime supporter of Net Neutrality (my credentials go back to my time in Congress). You may know me from my non top ten book Apollo’s Fire. Or my non-Oscar winning performance in the 2005 hit “The Deal” with Christian Slater. My staff wrote my bio, but I’m answering the questions (from 1-3pm PT.) Let’s get to it. EDIT We're out of time. Sorry I couldn't answer the question about time travel, I have a meeting in 2021 I have to get to. By request I am here from an ELI5 about pigeons that blew up. Hey Everyone. Im Mike and thanks for checking out my AMA. Like the Title says, I am a firefighter. It will be 4 years this upcoming October. Id love to field any kinds of questions, from work stories to if you are interested in being a firefighter and need advice on how to become one. Hey thank yall for all the great questions. I will do my best to get to each and every one of them as soon as I can! EDIT: Thanks for all of your questions - feel free to keep asking and voting, but I have to depart for today. I am leaving for a trip but will try to get back on here to answer some additional questions a few days from now. If you want a free digital copy of the full open letter, drop back by this coming week for the link! I had a great time today and was very impressed by the diversity and high caliber of the questions and do hope my answers were informative. If you want to see change: remember to write your congress(wo)men and get out the vote! Michael Gregory here! IRS Employees are forbidden from lobbying Congress, leaving former agents and insiders like myself to raise the alarm about what is happening to and within the agency. With that in mind, I have written an open, public and free letter (summary here and extended excerpt here) to our leaders titled The Wheels are Falling Off the Wagon at the IRS in hopes of drawing much-needed attention to an ongoing crisis impacting American taxpayers. 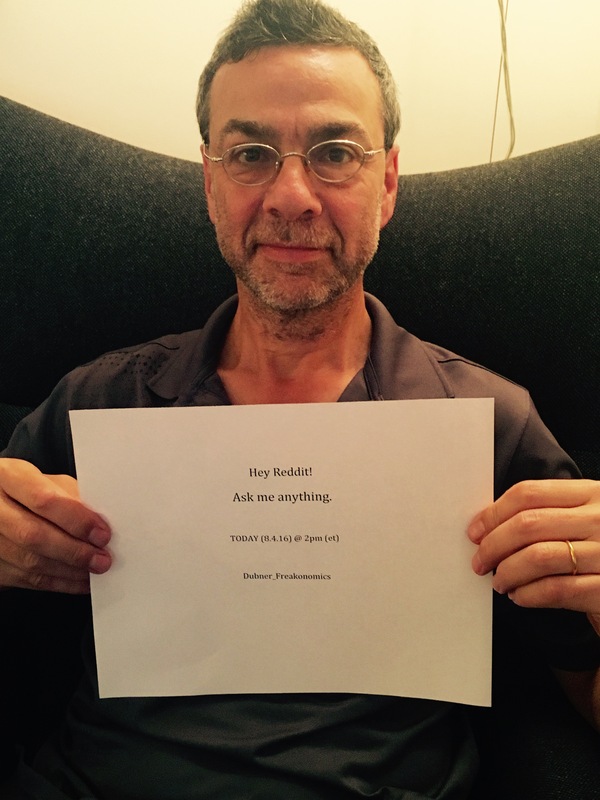 I am excited to be with you Redditors today and hope to answer as many questions as possible. Please feel free to read more below and ask me (almost) anything about this open letter and otherwise! I am also being assisted today by a veteran Redditor who will help me address Reddit-specific questions (ducks and horses?). My short bio: At the IRS, I was a specialist and territory manager for 23 states. I have testified in US tax court, written several books and twice won IRS Civil Servant of the Year awards. I have a BS, MS and MBA and am currently a qualified mediator with the Minnesota Supreme Court. In my younger years, I also worked for the US Army Corps of Engineers and was a sewer inspector. Context: This publication was made to raise awareness and motivate voters for the upcoming elections. Congressman Darrell Issa, the wealthiest man in Congress and Chairman of the House Committee on Oversight and Government Reform, has investigated the Lois Lerner Tea Party concerns with a dozen investigations costing over $12 million and collected over 67,000 emails while not finding any illegal activity at the IRS. There certainly was mismanagement, poor decision making and inappropriate acts by the IRS. These should be addressed. However, while focusing on this headline-catching case, the Committee has lost focus and severely underfunded the IRS. This cripples the agency hurts law-abiding taxpayers who want and need help from the agency – it also allows identity thieves and criminals to go unprosecuted, all at the expense of everyday Americans. Disclaimers: While I can give my opinions on tax law and the state of the IRS, I cannot give you tax advice. I am open to other questions but am hoping to focus on the pressing political issues surrounding the current state of the IRS, its dysfunctional elements and how we can improve the agency for the benefit of honest US taxpayers. Resources: For more about me and other books I have written, you can visit my website at MikeGreg.com. For a preview, click here - for a free digital copy of this open letter, stay tuned on Twitter or my blog. Hard copies of the book can also be purchased from Birch Grove Publishing on Thursday – any donations for the digital copy you may wish to make will go toward reimbursing the publisher for costs of production.